Thank you! Your message successfully submitted. Schedule a Personal Online Demo now! Pick a date and time that fits your calendar. We'll work around it. You will receive an email confirmation with details. 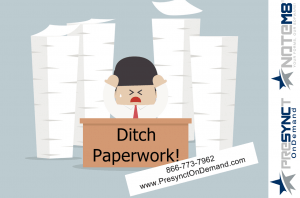 Subscribe to Presynct_OnDemand today! Select a Basic (free), Standard, or Premium plan that meets your requirements - or call us for an Enterprise plan quote. Click to watch Tim being interviewed by Betsy Brantner Smith and Dave Smith at IACP. Then browse through the large library of videos. BLUtube is the first online video community exclusively for law enforcement professionals. View Presynct's Product Profile on Capterra under Law Enforcement software category. We're also listed under Physical Security.